Beneath her broad smile and charming Southern exterior lies a determined, tough-as-nails, singularly focused woman. The third of five children in a single-parent home, Leola Adams was just 15 years old when her mother died at age 41. During a family meeting after her mother’s death, Leola’s eldest brother declared himself the man of the house, and Leola, the oldest girl, quickly proclaimed herself the lady of the house. From that moment on, she took responsibility for her two younger sisters, the youngest of whom was just 8 years old. With the help of nearby aunts and uncles, all five children stayed together on the family farm in Ruffin, S.C. Leola drove a school bus and worked at the county conservation office to help pay household expenses while she attended high school. She graduated with top honors. “My mother was extremely serious about education,” Leola said. Her mother led study sessions with the children each night; when she started attending school, Leola was so far ahead of her first-grade classmates that the teacher enlisted Leola’s help to assist the other students. Her mother also taught the importance of family, responsibility, and money management. “When the fifth person said ‘Iowa State,’ thank you very much, I said, ‘That’s where I’m going,’” Leola remembers. She attended Iowa State with a vengeance, blazing through the two-year master’s program in just one year (1970), returning later to complete her Ph.D. in just two years, finishing in 1975. Leola was focused, determined, and, yes, in a hurry. She had responsibilities back home. “I had to get back,” she said. Her youngest sister was still in her early teens. 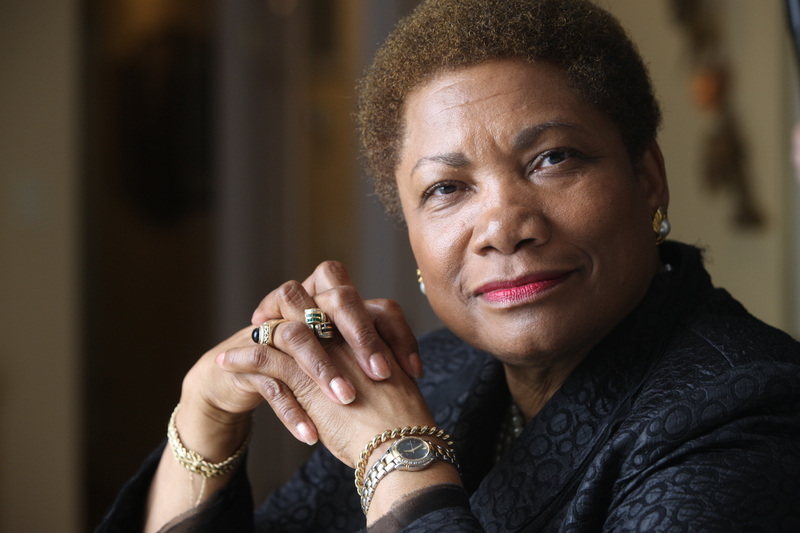 Leola returned to South Carolina State and worked there, first as a faculty member, later as department head for family and consumer sciences, and ultimately as dean of the School of Applied Professional Sciences. She retired in 2008 and was named the school’s first female dean emeritus in 2011. Her mother would have been extremely proud.